Facebook releases Workplace Chat app for Windows and macOS. 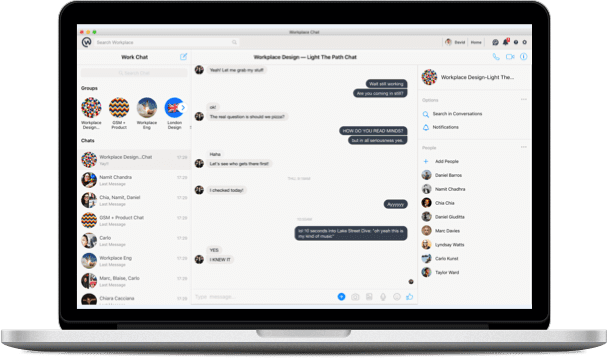 Today, Facebook launched the Workplace Chat desktop app on PC and Mac. Workplace Chat has always had mobile and browser components, and now Facebook adding a desktop app. Workplace Chat brings mobile messaging and calling to Workplace by Facebook. With the desktop app, people can access the same great features of the mobile app directly from their desktop. Workplace Chat includes video chat with a co-worker or group, screen sharing, and file sharing. It also includes features like message reactions, @mentions, and gifs that keep the conversation fun but focused. And in the coming weeks, Facebook will update Workplace Chat to include support for group video chat on desktop and on mobile. Users will soon be able to click a button and instantly start a video call for their team.